2017 is in the books and I thought I would just wish everyone a happy New Year! I'll have a lot to say about the year, the markets, thoughts on the future and your investment plan (if you're a client), and everything else in the coming weeks. If you have any questions (client or not), don't hesitate to reach out! Stock markets (around the globe for once) all performed well. There were almost no setbacks to worry about, and even though there will be eventually, it's always nice to drift through calm waters for a while. 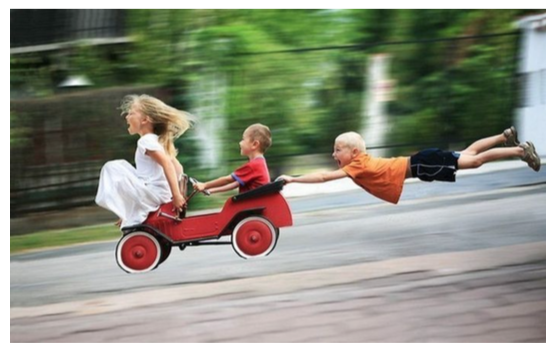 Interest rates rose meaning future returns on bonds will be higher (but not that high! ), and yet there weren't any dramatic declines in bond prices. I'm sure I could say more but these are the first three things that come to mind. So what exactly did the year look like graphically if you just want to eyeball it? 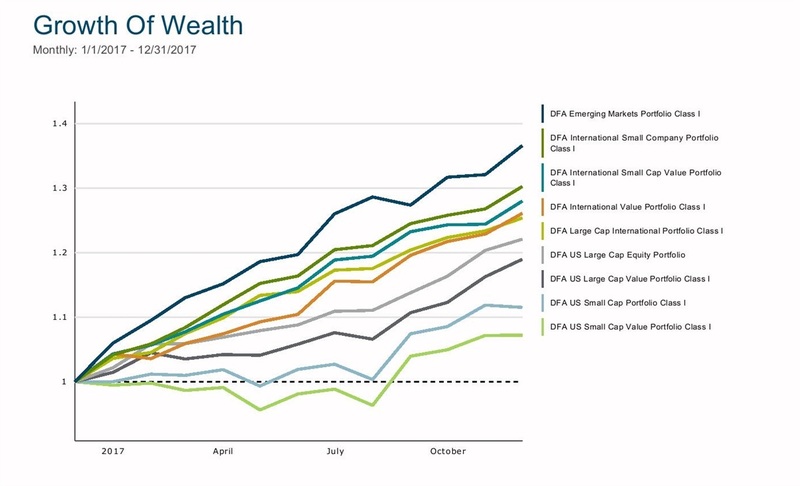 The chart below lists the "Growth of $1" on all major stock asset classes in 2017 as represented by DFA's "asset class" mutual funds. Everything did somewhere between OK and very well and you'll also notice the growth was very consistent from month to month. A range of +7% to +36% is pretty good for a 12-month period. I could stop there but there's more than a few of you that would prefer to see that action in data form, so the table below lists the actual returns of each asset class for 2017. The only thing I'll say about the detailed summary is that the bottom of the table is perhaps most interesting. For years we've been talking about whether or not holding non-US stocks made sense as the US market and the S&P 500 in particular performed much better. And while US large stocks (see "DFA US Large Cap Equity Portfolio") did fine last year, every single international asset class performed better than any US category. Whether this is a trend that continues is anyone's guess, but for 2017 anyway, global investors received some well-deserved and long overdue vindication.